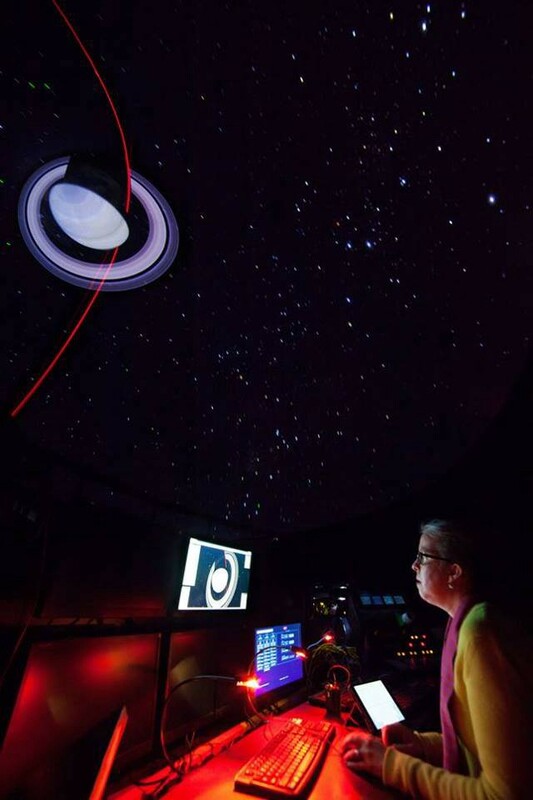 The class structure included time in the classroom developing a program and time in the dome to test out the feel of the controls as your show is projected to the dome. And of course a lot of time at home researching our topic and writing our scripts. Each student selected very different study subjects. My topic as you may have guessed was the Cassini-Huygens mission to Saturn. Brett studied aurora activity on the Earth and other planets in our solar system and the effect of the magnetosphere and nearby moons on auroras. We learned from our classmates about stellar distances, constellations, near Earth object collision risk, moon tides and life on the International Space Station. We also found out where the Borg live. [Spoiler Alert] Apparently, the S.S. Enterprise could only have traveled within the Milky Way Galaxy. Warp 8 just doesn’t get you very far. 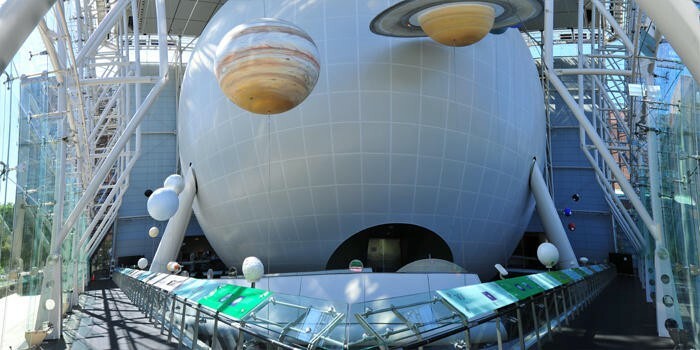 Hayden Planetarium. Image by the American Museum of Natural History. 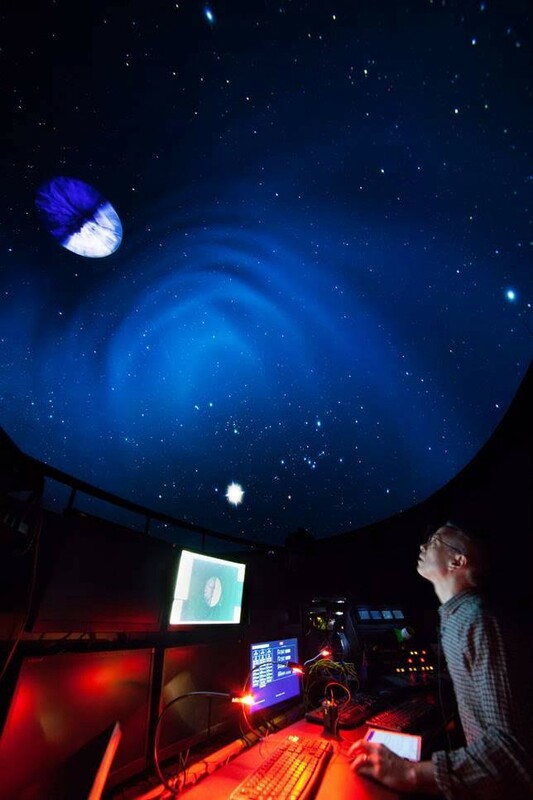 AMNH has a public version of the Uniview software that you can download from the Hayden Planetarium website. It was great fun and highly recommended if you ever get the urge to drive the dome. If you would like to download the script from my exploration of the Cassini-Huygens mission, be my guest.